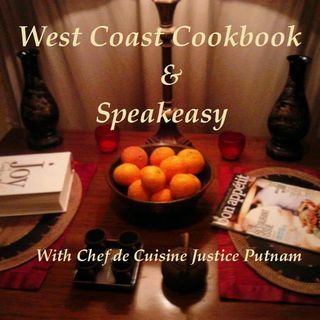 West Coast Cookbook & Speakeasy is Now Open! 8am-9am PT/ 11am-Noon ET for our especially special Daily Specials, Smothered Benedict Wednesdays! Starting off in the Bistro Cafe, journalists must stop letting Trump and the GOP leadership get away with straightforward racism and anti-semitic tropes. Then, on the rest of the menu, though the New Zealand terrorist invoked Donald Trump, he was also inspired by ideas that have circulated for decades on the French far-right; a multi-partisan ... See More coalition of the German legislatures is calling for the expulsion of the US ambassador from the country for being too much of a Nazi; and, the US is killing civilians with ‘impunity’ in a secret shadow war in Somalia. After the break, we move to the Chef’s Table where the Trump administration is holding children as young as nine years old in black site ice box baby gulags, without telling their lawyers; and, the Trump team has lost sixty-three court cases in two years because they're ‘being so nuts,’ while ‘not doing their homework' on the basics of governing. "Bread and Wine: A Love Letter to Life Around the Table with Recipes"
Show Notes & Links: https://www.dailykos.com/stories/2019/3/20/1843545/-West-Coast-Cookbook-amp-Speakeasy-Daily-Special-Smothered-Benedict-Wednesdays?